Have you considered having a sewer scope inspection? Understanding the condition of the underground sewer drain line and knowing the extent and location of a particular problem will be a key part of your decision in purchasing a home. A sewer scope is also helpful to current homeowners who suspect that they have a problem and need to be prepared before hiring a contractor for repairs. In reality, there are two types of risky sewer lines, Clay (85+yrs old) and Cast Iron (50+yrs old). Clay collapses on its own after about 90 years and average cost to replace is upwards of $6,000 when using PVC. It can be much more costly depending on other factors. Cast Iron is considered better, however hair roots can enter the seams and clog the drain. What about New Construction? Should I Still get a Sewer Scope? hardened tile grout, a small block of wood dropped into the open toilet flange, and even latex paint that was unwisely discarded without the buyer’s knowledge. 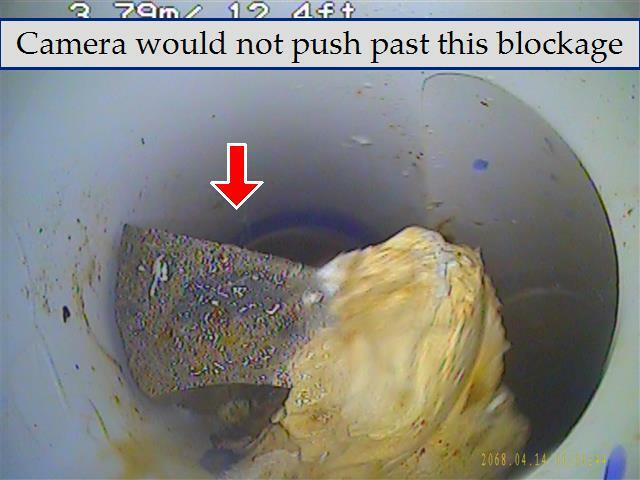 All these blockages occurred during the construction process and could not be identified for correction until a sewer scope was run through the line. With Nashville and Middle Tennessee experiencing explosive growth in new construction homes over the past 5 years, be sure to take no chances on your investment! If buying new construction, Don’t underestimate the importance of having a sewer scope done as part of your home inspection. In most municipalities, homeowners are responsible for any problems in the sewer line that are on their property out to the street. Repairs can be messy and costly. Call Today!